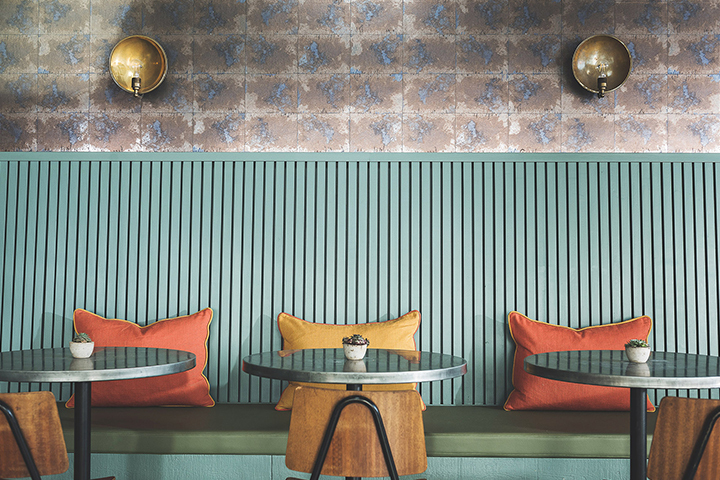 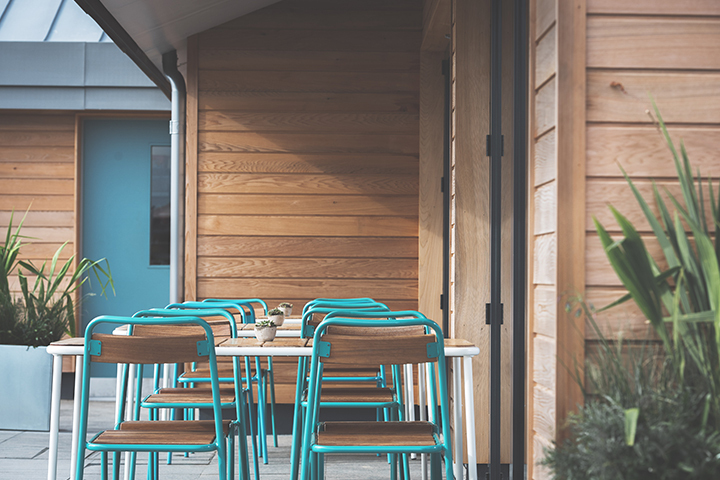 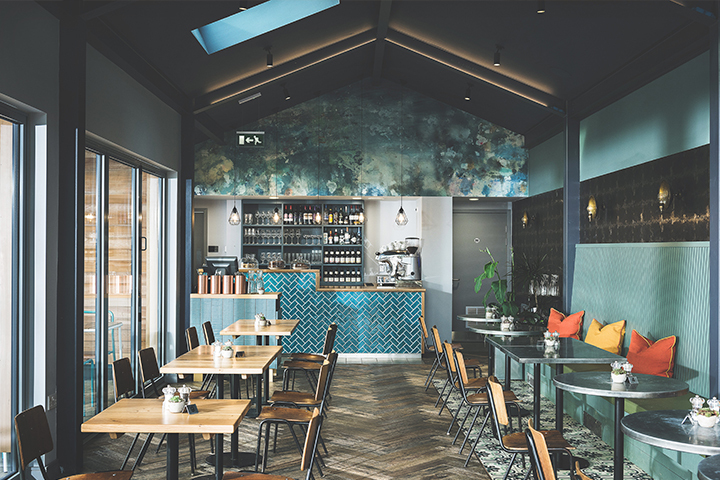 Tasked with providing a original interior scheme for this coastal location, Hart Miller Design worked closely with the Greens team to bring a rich and intimate cafe dining experience to Padstow. 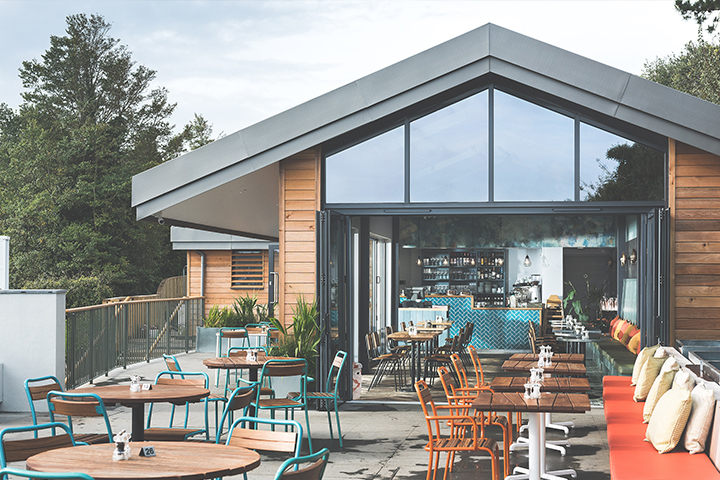 Perched high on the harbour edge with panoramic views over the Camel Estuary and the town, the relaxed setting transitions from day to evening ensuring customers have space and comfort to linger for longer. 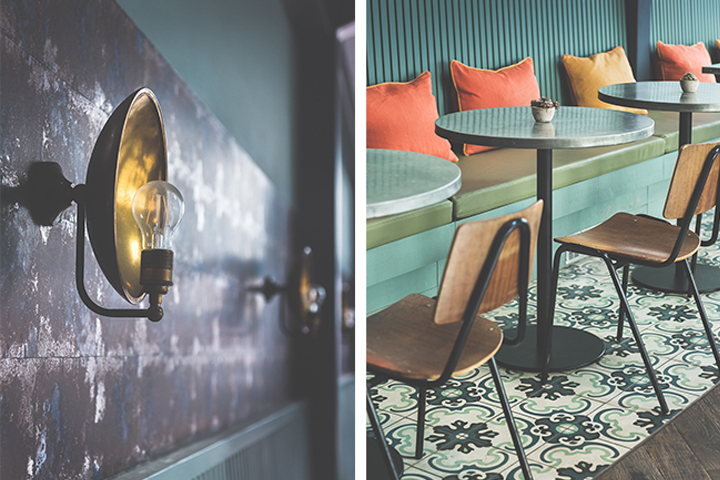 A bold yet sophisticated colour palette flatters bespoke timber paneling and raw timber floors, complimented with brass and zinc details; a contemporary interpretation of a classic cafe.